In your first online session, you are taken through the process of awakening your subtle inner energy, the basis of Sahaja meditation and the Thoughtless Awareness state. Once complete, your subtle energy system is active and can be used for practicing meditation by yourself, in addition to joining the regular online sessions on Sahaja Online. Choose a quiet place at home for your meditation. Inviting nature into the space where you meditate can enhance the quality of your experience, so consider incorporating natural elements into your room or practicing outdoors. 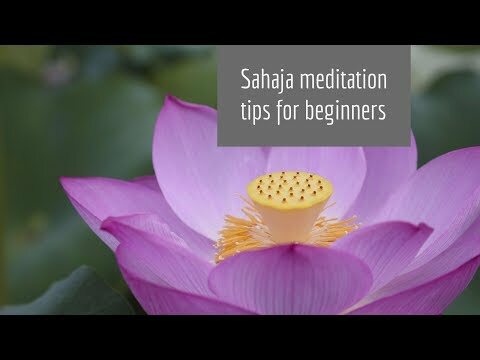 Many Sahaja practitioners recommend meditating in the morning right after waking up, when you are most alert and before the day’s demands get in the way. Traditionally, it is recommended that you meditate twice a day, once in the morning and once before going to bed, for durations ranging from 10 to 20 minutes. However, the practice of Sahaja is extremely flexible, meaning you are the best judge of what works best for you in terms of place, time and duration. So don’t be too hard on yourself, even if you miss a day. Rather than a strict routine, meditation should be about enjoying the deep experience and measuring the benefits in every session. Sit comfortably on a chair or on the floor. Relax and close your eyes. 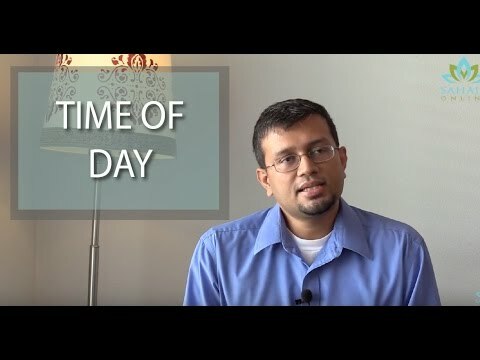 After a few moments raise your inner energy (see the video in the Related Videos section on how to do this). You should begin to achieve the state of Thoughtless Awareness within a few moments. Allow the energy to take over and do this for you as much as you can instead of trying too hard to concentrate or focus. If thoughts come at any time, merely watch your thoughts and allow them to pass by. Do not react to your thoughts or get absorbed in them. Sometimes, you can tell yourself “Not this thought…”, and just let it go. Playing some soft music can also help increase Thoughtless Awareness, although many prefer complete silence. Try and feel the energy on your palms flowing through your fingers in the form of pulsating sensations. It may take you several sessions and sometimes even a few weeks before you begin to experience these sensations. You may also feel the energy at the top of your head in the form of a cool breeze or air coming out. You may also find it beneficial to use the affirmations that are introduced in your first online session led by an instructor, to awaken the energy. Once you feel you have spent the time you need in the state of Thoughtless Awareness state and are ready to come out of your meditation, open your eyes and raise your inner energy again. This is a protective shield that aims to preserve your higher state of consciousness and the benefits associated with it for as long as possible during the rest of your day. At night, you may find the foot soaking technique especially useful. Please watch the video in the Related Videos section for the Sahaja Foot Soaking technique. For more information, see Obstacles to Thoughtless Awareness and Tips. Many of the benefits of Sahaja meditation arise from the Thoughtless Awareness state and are directly proportional to its length and intensity. You can expect to greatly improve your sensory perception of your own subtle energy system as time progresses. You can also expect to see small but consistent changes in your state of mind, thoughts, attentional control, emotions and even in your behavior over time. 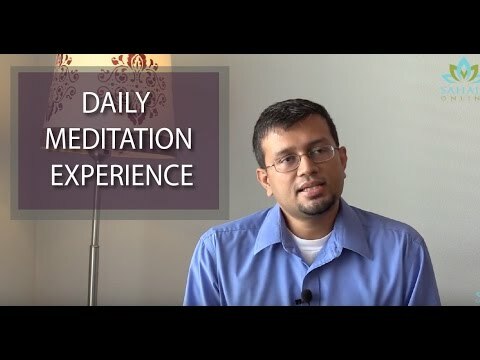 The goal is to make meditation an integral part of your lifestyle, slowly and surely, by using your own experience. Ultimately, Sahaja is a personal journey of self-improvement that you can craft, at your own pace and level of comfort. While meditation is an intensely personal journey, there are resources to support you along the way. Collective meditation sessions on Sahaja Online can accelerate your progress on this journey, and our instructors and coaches are always available to help.